If you need an electrical inspector, you are in the right place. Our electrical inspectors are ready to assist you. We offer thorough, complete electrical inspections for both residential and commercial customers. Our electrical inspectors are licensed, certified, knowledgeable, and experienced. 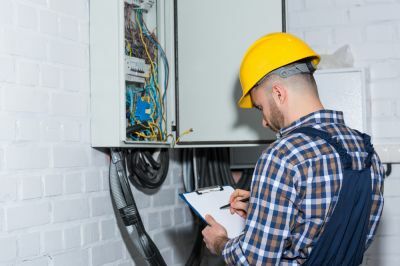 So whether you need an electrical inspection to get your electric turned on, if you need an electric inspection of a property you are considering buying, if your property has endured lightning damage, or any other reason, we can help you and provide you with a reliable electrical inspection and report of the status of your electrical work. All you need to do is fill out our short contact form, tell us about the property that needs inspecting, and we will get back to you promptly with a free custom quote for the inspection. Electrical Inspections - Select your State.